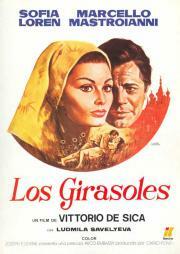 (Viewed on 5/07/11): De Sica's stab at a conventional melodramatic-historical-epic didn't really work. Unlike Visconti, he was not an opulent stylist, nor was he able to transcend the base manipulations of its form to find a deeper meaning that becomes apparent on closer inspection. He is simply content to exploit these manipulations for popular appeal, relying on the obvious attractiveness, chemistry and proven track record of Loren and Mastroianni to seal the deal. No dice. Em honra dos 80 anos de Sophia Loren: Devo confessar que De Sica me gera um fascínio incomum, tanto artisticamente, quanto humanamente.